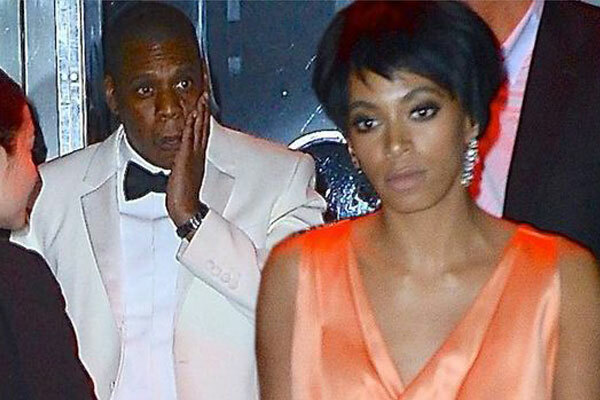 Beyonce's husband Jay Z has finally addressed the infamous elevator fight he had with his sister in-law Solange Knowles at the MET GALA in 2014. Jay Z in a podcast interview with "Rap Radar" addressed the 2014 incident which happened at the Standard Hotel in NYC, but failed to disclose what triggered Solange's tirade. "I fought my brothers and argued with my brothers my whole life. It just so happens, who we are, these things go into a different space, but it ain't nothing." He went on ... "We had one disagreement ever. Before and after we've been cool. She's like my sister. I will protect her. That's my sister, not my sister-in-law, my sister." It seems Solange was angry over Jay's alleged infidelity when she went off in the elevator, which he underscores in his new song, "Kill Jay Z" ... "You egged Solange on/Knowin' all along, all you had to say you was wrong/you almost went Eric Benet/Let the baddest girl in the world get away."